So, as promised, here is part two; My guide to all things I think that you'll want and need when your small cherub finally arrives. Baby shops see pregnant women as giant pound signs. The dream opportunity to try and sell every single baby related product that has ever hit the market. I'm sure they have a competition going on over who can sell the most crap to the most the gullible pregnant person. This list is for very early days - I'm not thinking as far forward as weaning and high chairs, more the first few weeks. A pram. I'm embarrassed to say we were lured into a Bugaboo Cameleon that cost more than my first car. To be fair, she's lasted very well and is in just as good condition now as when she first arrived. As great as I think she is though, I don't think you need to spend this much to get one that's just as good. Whether you live in the town or country will make a big difference as to what you go for. My city dwelling friends love the light weight, compactness of the Baby Jogger City Mini 4 wheeler and vitally, you can pick it up in one easy move. Perfect for chucking in the back of a car/taxi/bus at the same time as balancing bags, dog, coffee and baby. I swear you need a degree in engineering to operate some buggies but there's no struggle with this one. ALevels or not. 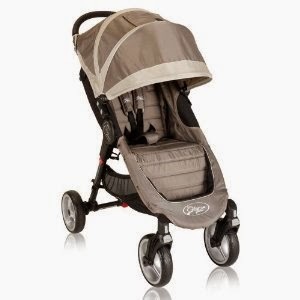 If you're after a Bugaboo -I was obsessed with having one- they've just bought out the new Bee3 which is meant to be a 'nifty little urban number'. I haven't come into contact with it myself so can't comment on it's ease of use. As far as prams go though, it looks pretty swanky. For Country life, I'd suggest a chunky three wheeler. Phil and Ted's Navigator seems to make a lot of people happy as again does Baby Jogger's 3 wheeler version. 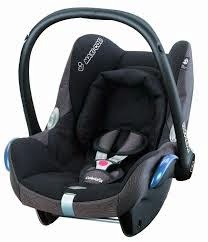 A car seat. The hospital won't let you leave without one. Ours is a Maxicosi that works with the Bugaboo too. And has definitely stood the test of time. A Cot. 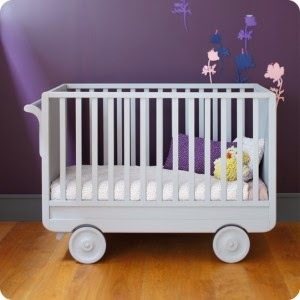 If space allows, go for a cot-bed rather than just a cot. 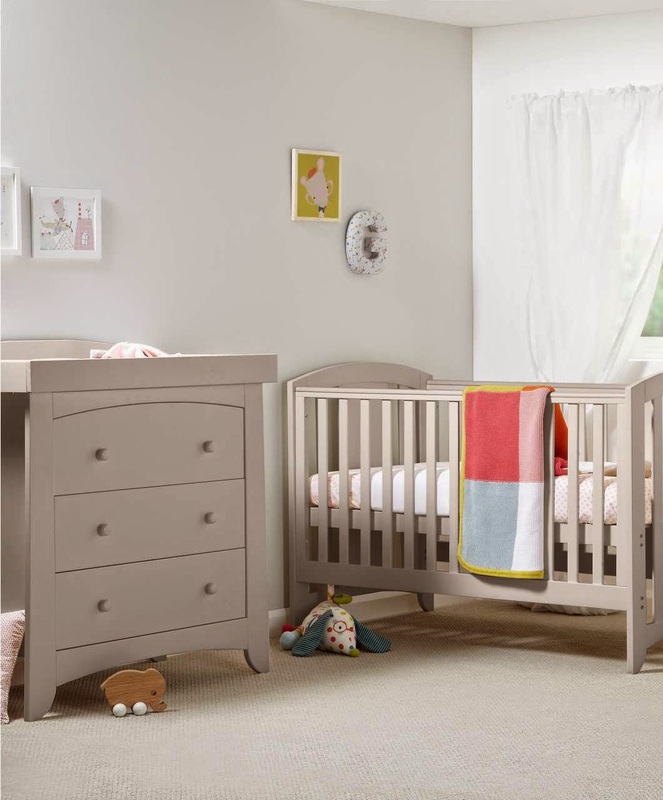 A cot-bed can be extended into a proper bed and you'll have it until they're about five. It's a no-brainer and most good companies do them. The bigger Cub's came from a mega-chic French company called Laurette in Paris. I've said it before but we really were completely clueless and this was the other area where we paid way, way more than we should have done. But shipping from the UK alone cost hundreds, it looked great and at the time we had no comparisons. A Laurette sensation. Really wanted this one. In the UK, I'd head for Mamas and Papas or The Little White Company. The former do a chic grey range called 'Harbour' which would be a perfect choice if you didn't know what you were having and/or wanted something other than white. You'll also need a mattress, they rarely come with the actual cot. Just make sure you get the right measurements. Ours came from Amazon each time. Moses Basket. I was so excited about the moses basket when we first started shopping. God knows why. They don't last for long so feel slightly like a waste of time but do make earlier days easier. This is something you really could borrow from a friend - but do buy your own mattress. We were given a spotty white one from Nursery Window that was so visionary it hung out in his bedroom for years. Cant wait to get her out again in a few months. Nursery Window spotty voile moses basket. You don't need the pillow. Linen. Baby lists will tell you to buy about ten sheets - we've managed, happily, with 2 fitted moses basket sheets and 3 flat cot bed sheets since day one. Swaddle. We were given one of these when the biggest Cub arrived and I didn't have the first idea what to do with it. And it was brown. Not my best present. However, one of the nurses in the hospital showed me what do to with it and we quickly became firm friends. Me and the swaddle; not the nurse. I'd be hysterical when it had to go in the wash, adamant that he wouldn't sleep without it. They thankfully now come in lots of pretty colours so you don't have to dress your baby up as a giant poo. Merino Kids is the brand you want. If you use a swaddle, you won't use a sleeping bag at the same time. This comes later, when they've outgrown the swaddle. Aden and Anais and the Little White Company have ultra soft ones with great designs. Blankets. Sleeping bags make life easier but you will still want blankets too. Think about the traditional cotton cellular ones as well as a warmer wool/cashmere one. I'm quite obsessed with my cream christening blanket. There's something rather old fashioned and comforting about it. And it's not just for christenings. Though it is cream so not high on the practicality scale but it looks pretty if you want to pretend you're in a mother & baby advert. Sleeping bags are sized by ages, like with the clothes, I'd avoid getting a new born size. Changing Table. You don't need, need one but it will make your life a lot easier. Of course you can change your baby on the floor/bed/kitchen table if you want but make sure you have a chiropractor on speed dial. If you're going to get one, I'd advise getting one with closed cupboards. I've done open and closed and having no doors makes it look like a bomb's gone off 24/7. I like Mamas & Papa's Harbour range. This is the one we got from Laurette. Proper dream. Changing Mat. Just make sure it's wipe proof. We were given a heavenly towelling one covered in bunnies that I just had to wash every five minutes. Baby Monitor. There are now so many different options that the thought of choosing a new one slightly panics me. Technical items are definitely Chaz's department but all I will say is that we survived for five years without a video one. They cost a fortune and I think have the potential to turn you into some sort of sleep deprived stalker. Tomy always worked well for us both here and in France. Quite worth going into a shop and talking to them about this one as some work better than others with thicker walls/long distance etc. A sheepskin. For me, it's an essential. They regulate their temperature and keep them from over heating. I'm convinced that they sleep better lying on these. The Cubs still sleep on theirs now. Sleep suits. A matter of personal taste but I go to John Lewis or Mothercare for the white basics and then the White Company for prettier and more special ones. When buying basics I'd go for a multipack of sleep suits - the button up ones with feet, long arms and legs, a multipack of long sleeve vests and same again with sleeveless vests. And unless you know your baby is teeny tiny, I'd buy age 0-3 months rather than newborn. New born nappies. I like Pampers. Baby wipes. Get on Amazon - you'll save £££. Again I like Pampers. Cotton wool. They advise you to only use cotton wool and water for the first few weeks and not wipes. A baby thermometer. Splash out and go electric. Calpol. Although not allowed until 3 months. Nail scissors. You won't believe how fast they grow. Steriliser. Real boring one but you will need one at some stage, even if you intend to breastfeed. I've managed to blow up about four -always remember to add the water- but think that Avent does the best. Unless you're using Tommee Tippee bottles and then I'd go for the same name steriliser. Baby Bottles. Getting the bigger Cub to drink from bottles nearly killed me. I tried every single bottle on the market. £200 later and he eventually decided that Tommee Tippee bottles would suffice. Again, a matter of personal choice - your baby's, not yours - but Avent, Medela and TT are all very popular. Baby formula. Good to have just in case. We've always used Aptamil. Breast Pump. You can hire heavy duty, hospital standard ones but if you want to buy your own, both Medela and Avent are good. Just make sure it's electric and not manual. Baby carrier. These are great when they're very tiny unless you're a weight lifter which means you'll be able to hang out with them strapped to you for much longer. I get about two months, max, out of them. This is a real goodie to borrow from a friend if you can. 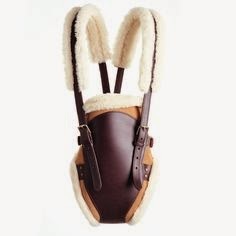 If not, Baby Bjorn are good or if you've got a lot of cash to burn, Bill Amberg makes a seriously chic, sheepskin-lined one. Baby bouncer. 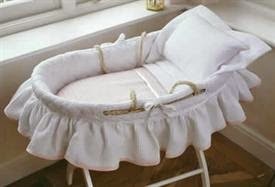 You can get seriously swanky ones of these but my best has always been one from Mothercare that costs £14.99. It's wafer-light so you can pick it up and plonk it down next to you wherever you are. But you might want to wear sunglasses to look at it. It's not the most tasteful/visionary of creations. I know there will be a few things that I've forgotten but my own baby brain has taken over so I apologise if I've left off something major. I'll add them to the list as they come to me. Below is a list of my favourite places to shop all things baby. Zara Home for baby clothes is the best kept secret ever. Sue Hill. Heavenly handmade baby knits. You can find them in Nursery Window. H&M - for affordable, organic cotton baby grows. JoJo Maman Bebe. V good for waterproofs.